For all of you DWTS fans out there, the dancing is getting a little closer to home. 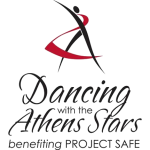 Dancing with the Athens Stars is coming to the Classic Center in Athens, GA on April 16th for its 8th year. Local dancers will be competing to raise money for Project Safe. Project Safe is a 501c3 nonprofit organization working to end domestic violence through prevention and educational programs, crisis intervention, ongoing supportive services for survivors of domestic violence and their children, and advocacy/ systems change work in our community. Click here to donate to the cause by voting for your favorite team, and if you don’t have a favorite team, pick Team 5. 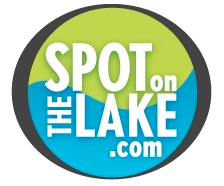 Roy is a past client and a friend to SpotOnTheLake! You can purchase tickets ($26) to the event soon at the Classic Center Box Office.